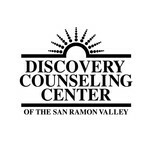 Discovery Counseling Center hasn't added a story. Katie Combs was a force of nature, bringing joy and fun to all who knew her. In the six weeks that Katie worked at Discovery Counseling Center, she made a huge impact. She connected in a very profound way with our staff of dedicated therapists and was a tremendous help to all of us. She was a remarkable, bright, funny young woman who lit up our office with her beautiful smile. Katie embraced Discovery Counseling Center’s mission of providing high quality, accessible and affordable mental health services to our community. To honor her memory, her family wants to help us ensure that every child and family that reaches out to Discovery Counseling Center gets the support that they need. The Katie Anne Combs Memorial Fund will provide much-needed funding so that we can continue to provide critical mental health services to children and families who are also dealing with difficult financial circumstances. Discovery Counseling Center hasn't posted any updates yet. Discovery Counseling Center is managing the funds for this campaign.